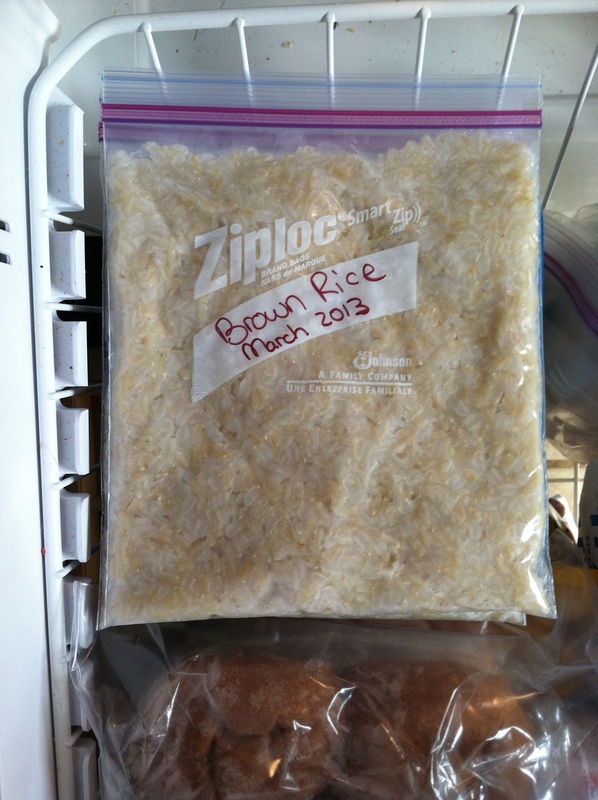 We all know how healthy brown rice is for us, but it takes forever to cook! Did you know you can freeze it? I make a double batch every other month or so and freeze. It’s easy, just cook your rice as you normally would, and let cool. I’m lazy so it just cools in the pot until its cool enough to handle. Then I portion into quart size freezer bags. 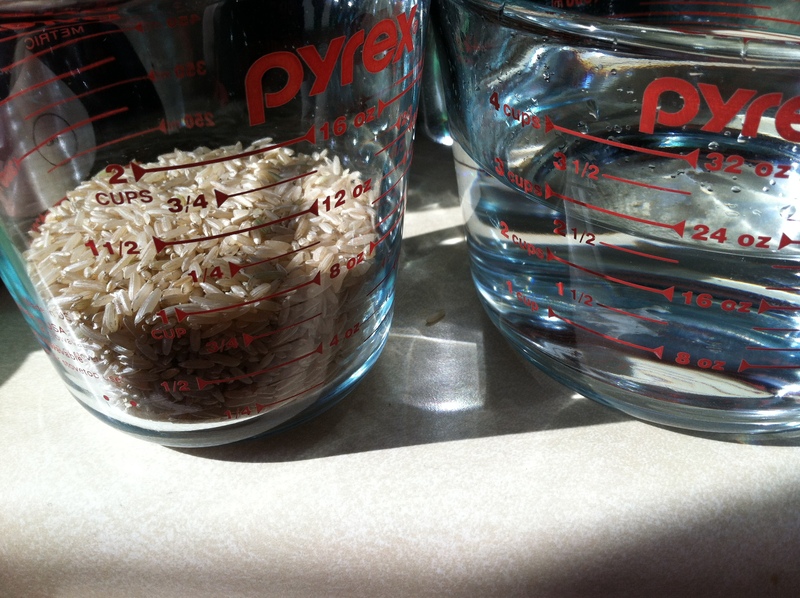 I like to push the rice so its flat, this makes thawing quick and easy. Plus they are super easy to store this way. Freeze and file away in the freezer. I’m not sure how long it will stay good, mine always gets used up within a month or two. To thaw, I just set it out on the counter for an hour. I have also quickly thawed under warm running water for a few minutes. Pop it in a bowl, nuke in the microwave until nice and steamy (I add a little bit of water to create steam) and dinner is ready!